Welcome to this beautifully updated home in Graduate Hospital that has lots of original character, space and modern amenities! 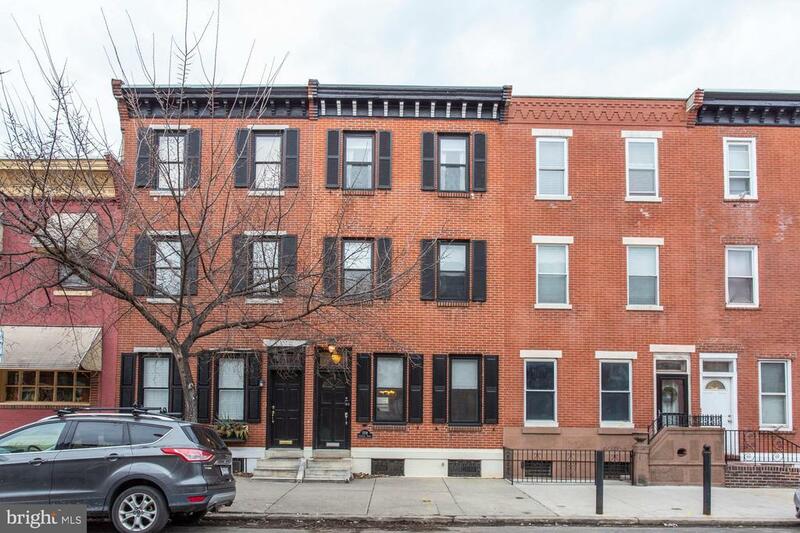 This home checks all the boxes from the amazing view from the rooftop deck to the fabulous finished basement featuring a full bath. Enter thru the stately vestibule that leads into the gracious living room featuring high ceilings, 2 decorative fireplaces and a powder room. Entertaining will be easy in the spacious dining room featuring decorative moldings and mantle that flows into the gorgeous kitchen featuring upgraded cabinets, stainless steel appliances, granite countertops and a breakfast bar that leads outside to the private back yard. Step upstairs to find 3 spacious bedrooms and an updated full bath. The top floor features the luxurious master suite featuring a walk in closet, addl closet and sumptuous custom master bath featuring upgraded tile and a granite top vanity. Plus there are gorgeous refinished hardwood floors that flow throughout the home and the location is unbeatable! With a walk score of 92 youre just steps away from the ever popular Sidecar and Los Camaradas restaurants, the new Heirloom Market and Ultimo Cafe. This is the home youve been waiting for!